Silver and gold, traditional holiday gifts immortalized in song, are the gifts that keep on giving – and the healthcare industry is thankful. How have precious metals in medicine improved lives yesterday, today and tomorrow? The Silver Institute explains silver’s antibiotic properties used throughout history. In sum, it was the most important antimicrobial agent available before the introduction of antibiotics. Silver coins were placed in wine casks and silver nitrate dropped into newborns’ eyes to prevent infection. Today silver is embedded in medical equipment such as surgical tools, needles, stethoscopes, furniture, door handles, linens and even paper files, silver can fight against the resistant bacteria in superbugs like MRSA. 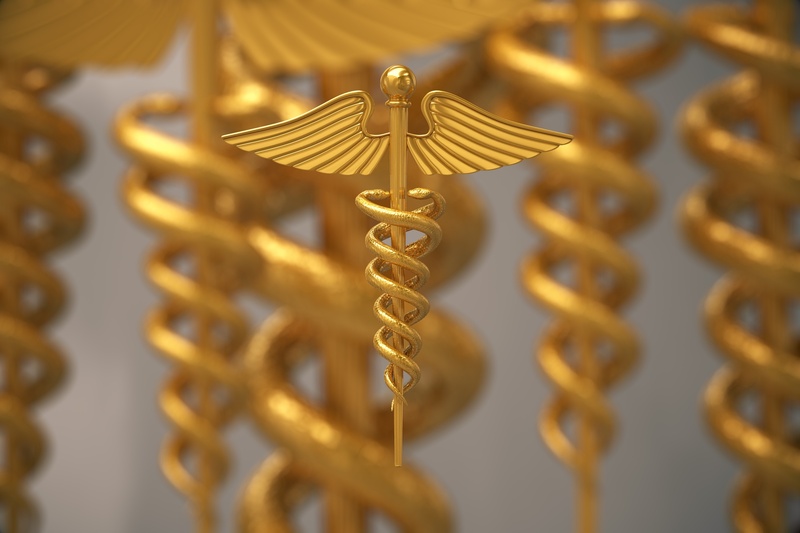 In addition to silver, the healthcare industry relies on gold. Gold is used in radioactive isotopes for cancer chemotherapy treatments, rheumatoid arthritis treatment and nanotechnology for HIV/AIDS detection, including Rapid Diagnostic Tests (RDT). The hundreds of millions of RDTs performed globally each year rely on gold nanoparticles to help “change the face of disease diagnosis in the developing world over the last decade,” according to The World Gold Council. Patients also can be diagnosed using radioactive gold injected in a colloidal solution tracked as it passes through the body. Surgical instruments, equipment and life-support devices use small amounts of gold because of its nonreactive properties and reliability. Less common medical uses of gold include treating an inability of a person to close their eyes completely, by implanting small amounts of gold in the upper eyelid like weights for the eyelid to close fully, according to Geology.com. In the near future, an electrically‐activated silver‐based antimicrobial implant system may be used as treatment of device‐associated infection, currently in development at North Carolina State University. Gold’s ability to treat cancer and improve early HIV/AIDS diagnosis is in the research and development stage as well, including at the Imperial College London, which is experimenting with gold nanoparticle techniques that sense the target molecule at an ultra-low concentration. When you’re giving your loved ones silver and gold this holiday season, give thanks to precious metals for the gift of good health!